Google Cloud Platform (GCP) has announced a new Los Angeles Region (e.g., uswest-2) with three initial Availability Zones (AZ) also known as data centers. Keep in mind that a region is a geographic area that is made up of two or more AZ's. Thus, a region has multiple data centers for availability, resiliency, durability. The new GCP uswest-2 region is the fifth in the US and seventh in the Americas. GCP regions (and AZ's) in the Americas include Iowa (us-central1), Montreal Quebec Canada (northamerica-northeast1), Northern Virginia (us-east4), Oregon (us-west1), Los Angeles (us-west2), South Carolina (us-east1) and Sao Paulo Brazil (southamerica-east1). View other Geographies as well as services including Europe and the Asia-Pacific here. How Does GCP Compare to AWS and Azure? 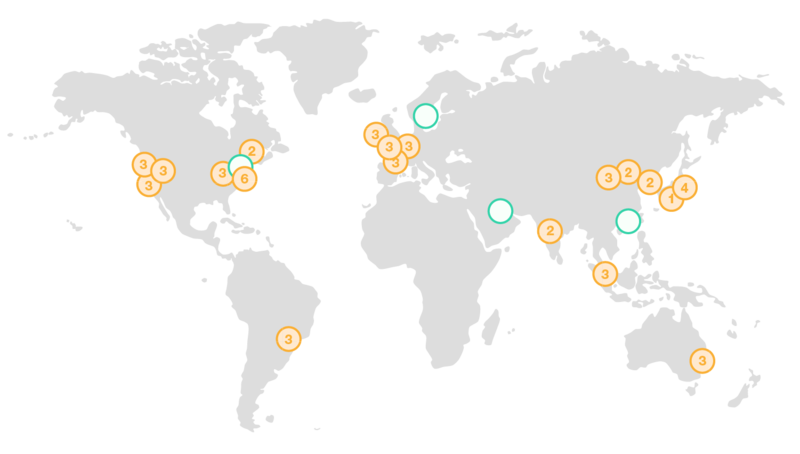 The following are simple graphical comparisons of what Amazon Web Services (AWS) and Microsoft Azure currently have deployed for regions and AZ's across different geographies. Note, each region may have a different set of services available so check your cloud providers notes as to what is currently available at various locations. Google continues to evolve its public cloud platform (GCP) both regarding geographical global physical locations (e.g., regions and AZ's), also regarding feature, function, extensibility. By adding a new Los Angeles (e.g. uswest-2) Region and three AZ's within it, Google is providing a local point of presence for data infrastructure intense (server compute, memory, I/O, storage) applications such as those in media, entertainment, high performance compute, aerospace among others in the southern California region. Overall, Google Cloud Platform GCP announced new Los Angeles Region is good to see not only new features being added to GCP but also physical points of presences.